Of course, external forces may also result in the need for the revision of estate documents. For example, the federal tax reform law enacted late last year may cause the revision of estate plans. The federal estate tax exemption has doubled from $5,600,000 to $11,200,000 and is now quite generous. New York State’s estate tax exemption remains relatively high and will be raised to the federal exemption level by 2019. At this time, most people do not need to act to avoid estate taxes. As such, a will containing a credit shelter trust (which was a mechanism to shield the applicable estate tax amount by leaving such amount in trust for the surviving spouse) can be revised to eliminate the credit shelter trust and allow for the outright inheritance by the surviving spouse. Whether internal or external forces are at play, one should consider whether her current wishes are reflected in the estate documents. 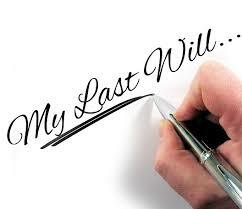 We suggest that you contact experienced estate attorneys and arrange for an estate planning checkup. Should your attorney determine that revisions to your documents or their replacement with entirely new documents is warranted, it remains necessary to have such documents signed in accordance with state law for the signing of wills. As such, supervision of this process by your attorney is required in order to have legally valid documents. We assist our clients in the regular maintenance of their estate plans so that they change with changing circumstances.